In a talent-driven market where it’s a struggle to find any talent much less somebody that matches exactly what you think you may need for your position, you need to be open to candidates that fall slightly outside of expectations. That may mean investing in talented individuals who don’t have all of the experience they may ideally want, but who have potential – or, individuals who seem to have more experience than the position requires, but who may be able to raise productivity even more than they were anticipating. Stronger Industry Knowledge and Networks: Overqualified employees have the skills to do well, and if they gained their experience working in the same industry as your company’s, they could likely bring useful information to the table that you, your team and even your company can benefit from: tricks of the trade, valuable contacts, or even new perspectives. Less Training Time – and Cost: Hiring an overqualified candidate can mean dramatically reducing the learning curve, so you have a new hire who is ready to pull his or her weight in less time and at less cost. Less training means they (and you) can move on to tackling important projects. 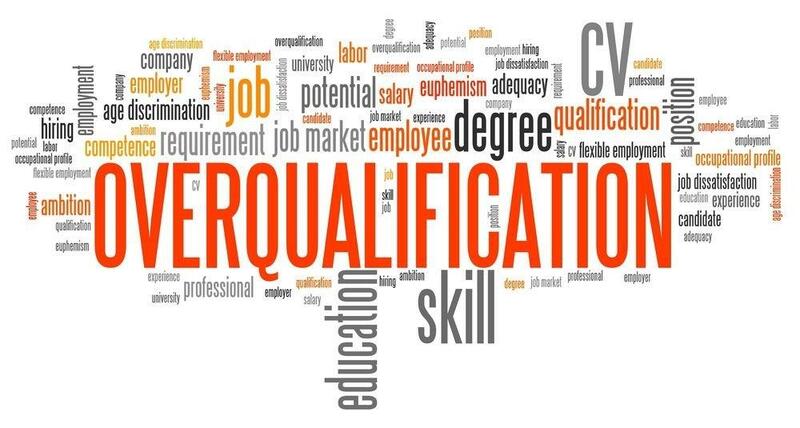 Easier Delegation: Many overqualified employees are such because they are driven, enjoyed what they do enough to learn and develop skills, and more likely have been in the industry or their line of work for a while now (hence, “overqualified). They won’t just hit the ground running, they will run with any ball you pass to them, as long as your provide well-defined goals, instructions and parameters. Hiring means having the opportunity to carefully select the right person with the right qualities – and for the right price. Despite months of increases in hiring, the market is still teeming with candidates, including many great people who just happen to have too much of good things. It’s not a matter of finding a “bargain” – a great employee who will accept less pay, but a matter of deciding which candidate can bring the most benefit to your team and your company. Not surprisingly, most overqualified employees fit this bill… and surprisingly enough, it doesn’t take that much more for you to foot the bill.